Are We Taking Food Packaging for Granted? What is the Importance of Food Packaging? Think about it, without a regulated system of food packing processes, materials and systems, we would be no further ahead than if we were still in the dark ages. Food packaging is used to allow for easy transport of goods, protect the integrity of food products, and ensure separation from harmful chemicals, particles, bacteria, and pests. It also allows for food labeling and other information for consumers such as ingredients allowing you to adhere to any laws and regulations regarding labeling of for-consumption goods. In this article, we’ll do our best to answer common questions about food packaging to help you understand the importance of packaging in your small business. What Material is Used for Food Packaging? Food packaging uses a variety of different materials to protect food and provide surfaces for labeling. The types of material used in your food packaging will depend on your preferences and the food products that you’re storing. Most food packaging consists of either glass, cardboard, metal, or plastic. What Are the Different Types of Packaging? Different types of packaging will depend on the size and nature of your food product. For example, some vendors bulk-sell large amounts of a product using cardboard as a form of packaging. They may also have internal packaging that further protects the product. Suppliers of individual beverages typically use custom glass or plastic containers to transport and sell their products. The possibilities are truly endless when it comes to food packaging. You can even develop packaging designs specific to your company or brand – this makes your products more noticeable to consumers and aids in marketing. Primary food packaging is the most essential form of packaging. Primary food packaging is in direct contact with the food product – it preserves the products and ensures protection from external bacteria or particles. Secondary packaging is used for branding and as an extra measure of protection for the food product. In many cases, food suppliers use primary packaging to package small amounts of food. Secondary packaging is then used to contain the smaller packages together. It’s a great way to bulk-sell smaller portions of food products. Why Do We Use Food Packaging? At the end of the day, we use food packaging to protect food and to ensure customers can identify the product. Without food packaging, you wouldn’t be able to distinguish your food products from other market competitors. You also wouldn’t be able to guarantee that your food products aren’t expired. Food packaging is vital for protecting food against external microbes and bacteria. It can also help preserve food and ensure it doesn’t spoil. After food packaging is removed, the shelf life of a food product is greatly reduced. You should always ensure your food is packaged securely and effectively with the right materials. In the event you’d like to take the guess-work out of packaging your products, we offer custom food packaging services. We can work with your business to develop a comprehensive food packaging strategy that fits your goals and branding. We work with a wide variety of foods and have experience in a range of markets. Don’t risk your company’s reputation with inferior packaging services, give us a call today! https://durefoods.com/wp-content/uploads/2018/11/What-is-the-Importance-of-Food-Packaging.jpg 720 1280 Dure Foods https://durefoods.com/wp-content/uploads/2013/04/logo-2.png Dure Foods2018-11-13 14:03:342019-01-22 17:22:53Are We Taking Food Packaging for Granted? At Dure, vitamin D as an essential ingredient that helps foster good health through our lifestyle products and supplements. As food preferences change across the globe, many consumers are much more aware of what is in their food. Most prefer a well-balanced diet that consists of a range of different vitamins and nutritional benefits, but with so many vitamins, it can be hard to keep track of the benefits of each one. In this article, we’ll take a more in-depth look at vitamin D and what it can do to improve your health. We’ll also examine the effects of having low Vitamin D.
Vitamin D is considered a fat-soluble ‘secosteroid.’ There are five different forms of vitamin D, though they have very similar purposes. These are referred to as vitamin D1 through vitamin D5. Vitamin D is consumable through supplements and certain types of food. It is also produced in your skin via sun exposure. 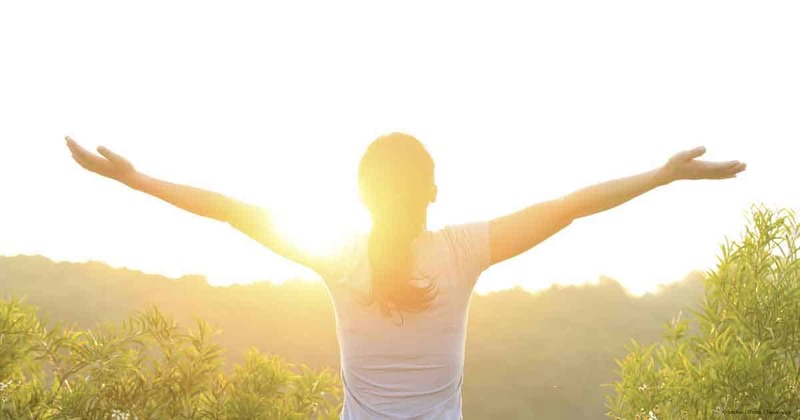 While most humans receive some vitamin D through everyday sun exposure, increasing your exposure in an attempt to produce more vitamin D is not recommended. Excessive sun exposure, particularly without sunscreen, can increase your chance of skin cancer. The benefits of vitamin D supplementation are still unclear. There are many claims that vitamin D benefits human bone health and can potentially reduce the risk of cancer. At the same time, some studies show this to be inconclusive. There is evidence that higher rates of vitamin D can help prevent mortality in older patients. Problems do arise when you are deficient in vitamin D – it can cause bone problems and a variety of other issues. Many older individuals have issues related to drops in vitamin D levels. What Foods Are High in Vitamin D? Vitamin D is found naturally in a variety of different foods. Some foods that are high in vitamin D include fatty fishes (such as salmon or tuna), dairy products, soy milk, cheese, egg yolks, and orange juice. People also take vitamin D supplements via different pills and tablets, though this isn’t necessary if you have a diet that promotes vitamin D intake. What Does It Mean to Have Low Vitamin D? Low Vitamin D simply means you have a vitamin D deficiency. This occurs when you have low levels of vitamin D in your blood. What are the Side Effects of Low Vitamin D? There are many side effects associated with low vitamin D levels. Most of these side effects are related to bone strength and health. Reduced bone density is common in individuals with prolonged vitamin D deficiencies. The reason vitamin D helps bone health is that it improves the metabolism of calcium within your body. For this reason, vitamin D is also used to help prevent Rickets and other bone diseases. Also, in elderly individuals, low vitamin D can result in increased chances of mortality via injuries from slips and falls. In those with regular sun exposure and a healthy diet, vitamin deficiencies are uncommon. None the less, deficiencies can lead to reduced bone health, and there is some research that it may also result in other adverse effects such as depression. https://durefoods.com/wp-content/uploads/2018/10/What-is-Vitamin-D-Good-For.jpg 720 1280 Dure Foods https://durefoods.com/wp-content/uploads/2013/04/logo-2.png Dure Foods2018-10-29 13:50:132019-01-22 17:22:53What is Vitamin D Good For?